The night we sketched at Poulet, a mostly chicken café in north Berkeley, I was feeling out of practice with drawing. So instead of trying to sketch the architecture or people I just drew their collection of chickens displayed on shelves, counters and walls. I didn’t bother with the shelves they sat on or perspective or anything serious…just allowed myself to be as playful as the silly chickens. That helped me get over my insecurity, warm up my hand and get back to sketching again after a brief spell of doing everything but art at the beginning of the year. 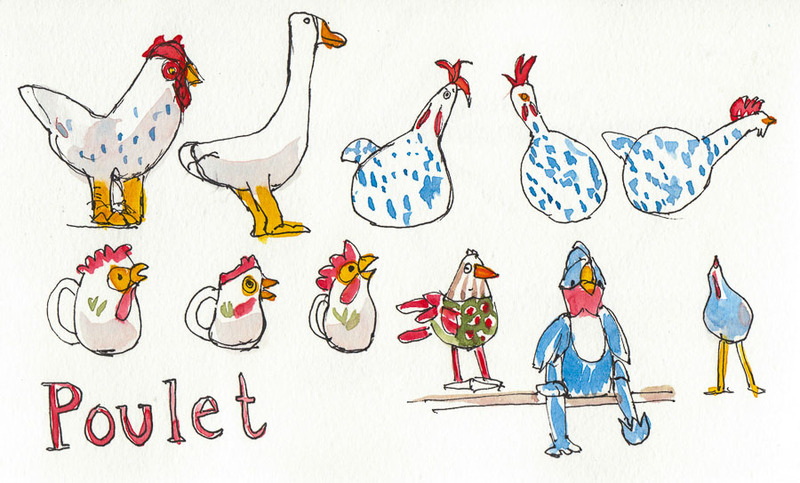 Poultry Panorama (2-page spread in my sketchbook). 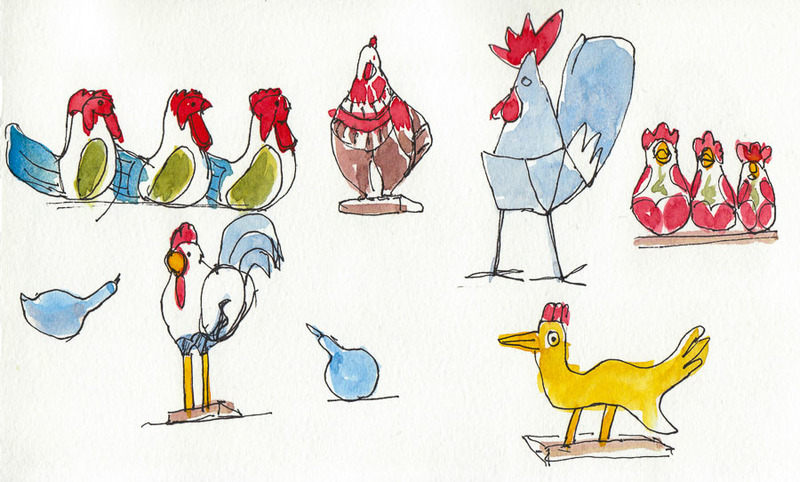 On our Urban Sketchers blog you can see Ceiny’s sketches of the café, starring some of the same chickens and Cathy’s sketches of the scene. Crazy chicks don’t need no perspective anyway! 🙂 Love the white ones with dots — they look like rocking gourd chickens (I made that up, not a real breed.) Thanks for sharing these lively sketches. I only just saw this page. Sheer joy!! Aren’t your crazy chicks fun! Love them all.